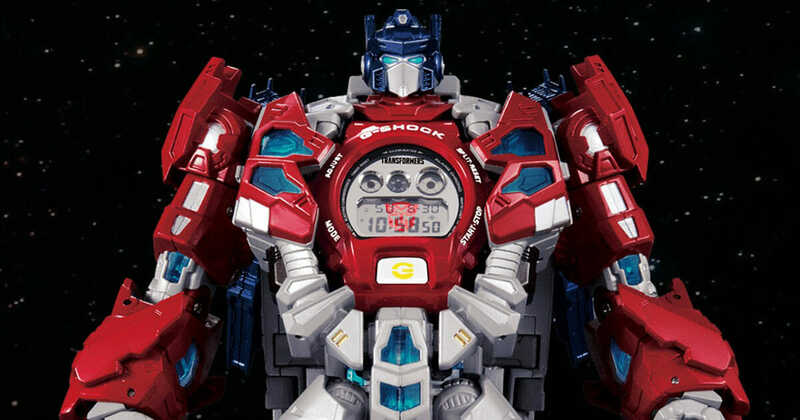 Besides launching their first ever full-metal G-Shock earlier this year, Casio Japan has just announced they will be releasing a new 35th anniversary G-Shock x Transformers watch. 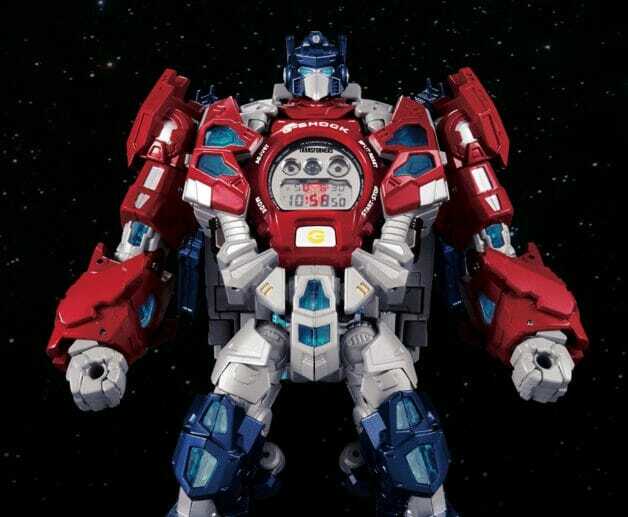 What’s even more interesting, the collaboration bundle comes with a Master Optimus Prime robot model that you can fit the watch in his chest. In case you are wondering, yes it actually transforms into two modes – Pedestal and Robot modes. 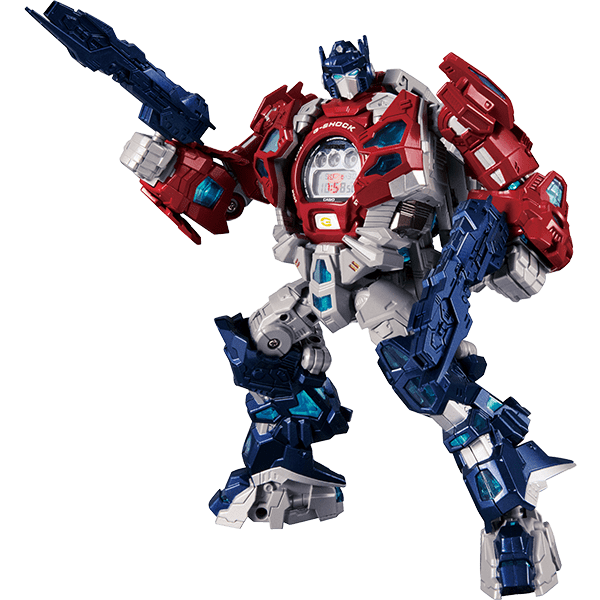 Here’s the Pedestal Prime Mode. 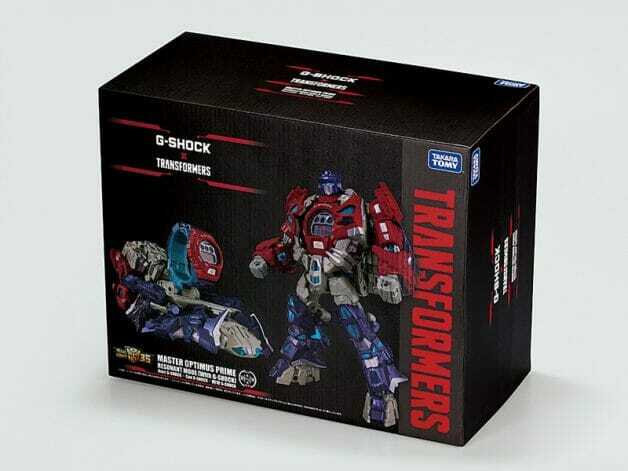 And this is how it looks like when transformed to the Robot Mode. 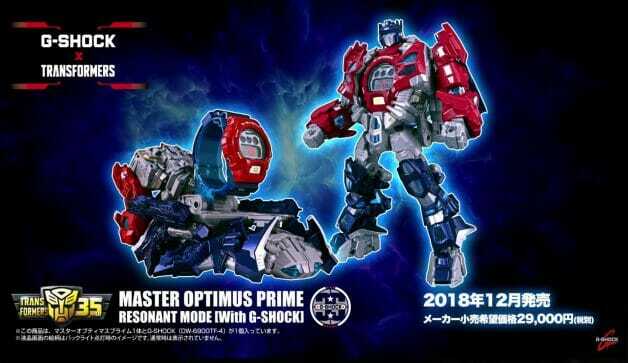 Collectors can also fit their existing 5600 and 6900 G-Shock series into Master Optimus Prime’s chest. 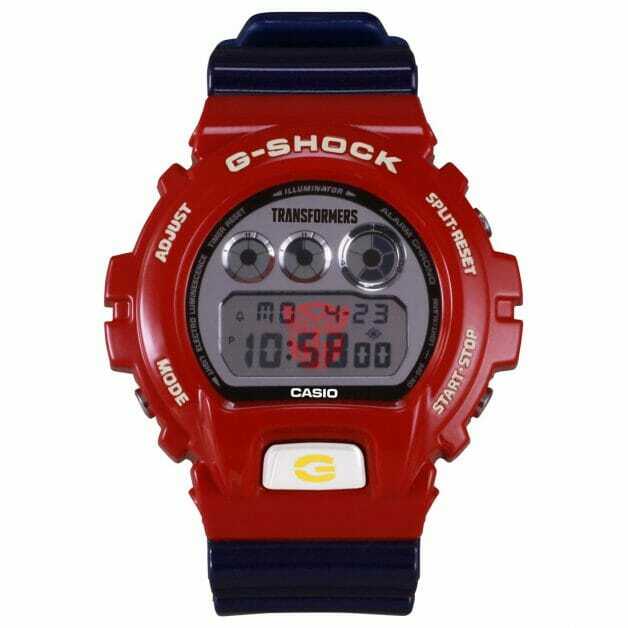 The G-Shock DW-6900 watch comes in the iconic Optimus Prime red and blue colours. 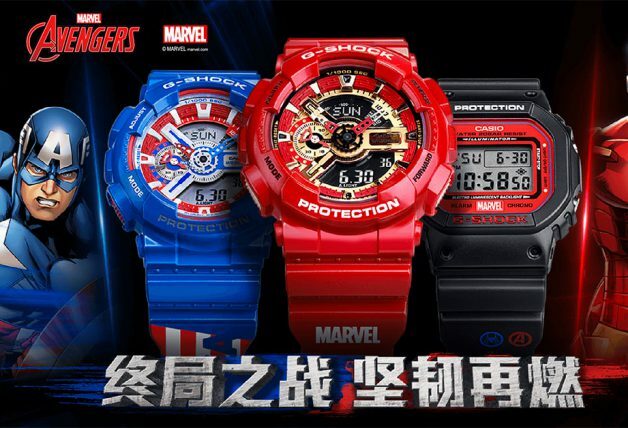 It also has an Autobots logo on the watch dial when illuminated. 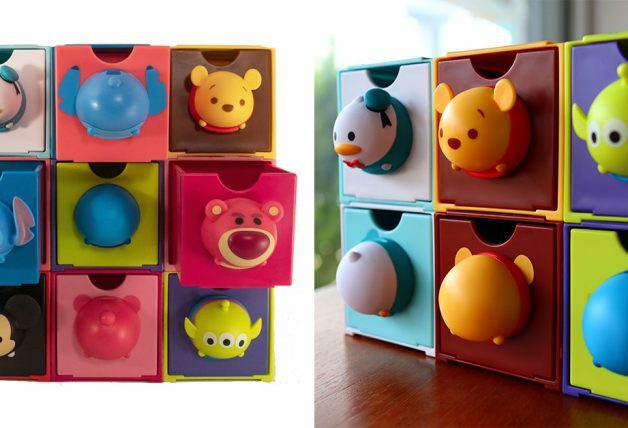 It comes in a beautiful collector’s box. 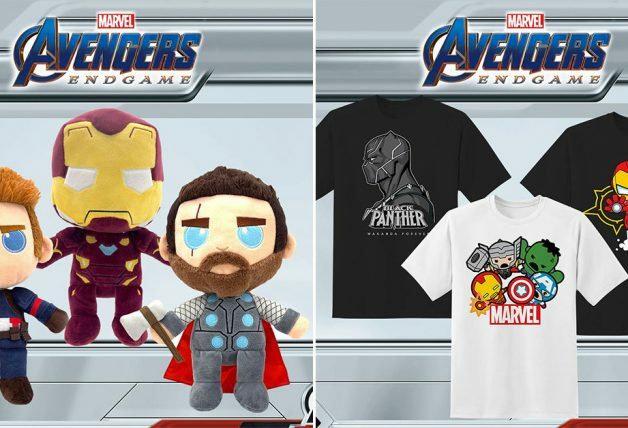 And here’s a sneak peek at what’s inside the box. 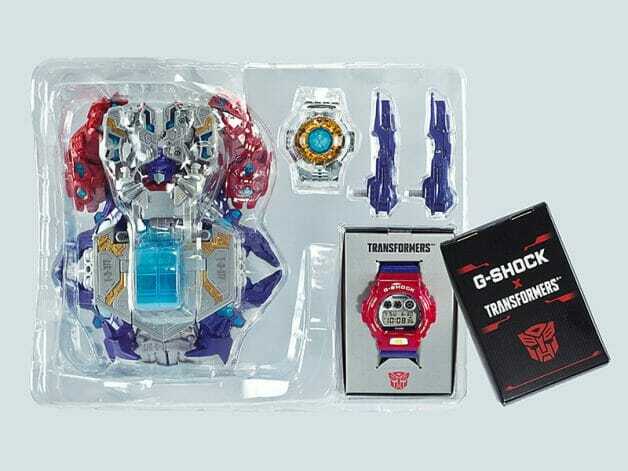 Unfortunately for the rest of the world (including Singapore), the new G-Shock x Transformers watch will only be released in the Japan market. 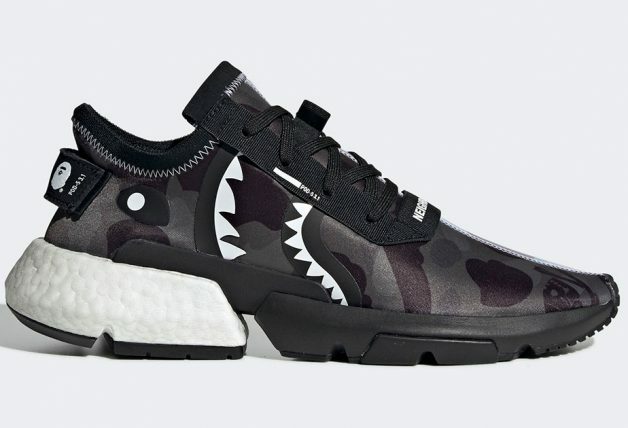 However, if you have friends or family residing in Japan, here’s how to have a chance to own one. 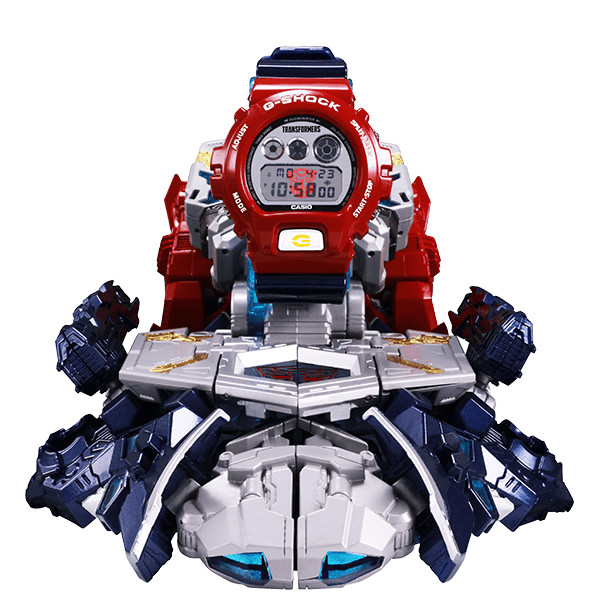 Takara Tomy, the toy company behind the robot model, will be holding a ballot/lottery sale for the 35th anniversary G-Shock x Transformer Set on their Japan website and will open for application from 19 – 22 November (there’s no first-come-first-serve basis). Winners of the lottery sale will be announced via email on 30 November, after which Takara Tomy will ship the watch set starting from 8 December. According to the terms and conditions, payment method is only cash on delivery (in Japan). 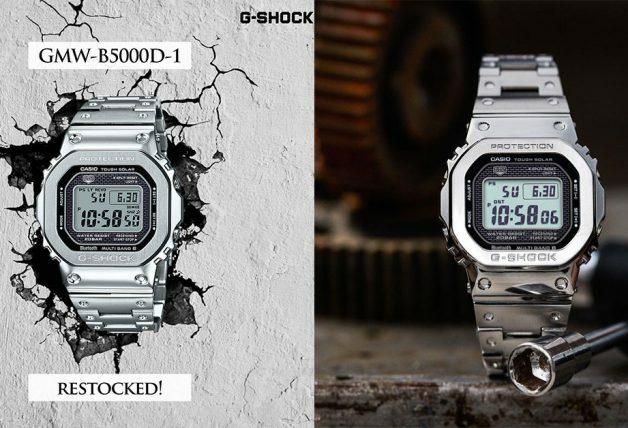 The G-Shock x Transformer set is priced at ¥29,000 (¥31,320 after taxes) which translates to around S$381.